Most homes today have a HVAC System (Heating, Ventilation, and Air Conditioning) of some type. Whether you have a forced air furnace and air conditioner combination, a heat pump, or separate heating and cooling systems, regular maintenance is necessary to keep your home’s comfort system running smoothly. Your HVAC system is made up of moving parts and an electrical system. These parts need periodical care and sometimes replacement. At least twice a year, when the weather changes, it’s important to schedule professional air conditioning and heating repair in Greensboro. Replace your filters. This is something you can most likely do on your own. For best results, change your filters every one to two months, especially if you are in a newly constructed home. At the very least, replace your filters quarterly, being sure to change filters right before you switch from air conditioning to heat and back. Your HVAC company will replace your filters for you during your routine maintenance appointment. Clear out around your outdoor unit. This is especially important in the spring before you turn on your air conditioning for the first time. Remove weeds, leaves, and other debris that tend to collect around your outdoor unit. As the weather is often still warm enough for AC into the fall, you should clear out around the unit during this season as well, especially because it could collect leaves. The outdoor unit needs to be able to move air unencumbered. Get your propane or oil tank refilled. The frequency of heating fuel tank refills depends on a few different factors such as the size of your tank, the weather, the size of your home, the temperature you prefer to heat your home to, and more. If you’re not currently on a refill schedule with your supplier, it’s wise to start automatic fuel delivery. Your supplier makes sure you never run out by refilling your tank on a predetermined schedule. A completely empty tank can cause problems with your furnace as well as the tank itself and other equipment. Schedule a tune-up from your HVAC company. Twice a year, during seasonal changes in the spring and fall, you should have professional maintenance performed on your system, sometimes referred to as a tune-up. A trained technician will clean, inspect, and repair your furnace and air conditioner so that it runs efficiently. If you’re not already a Comfort and Protection Service Plan Member, you should get started now. 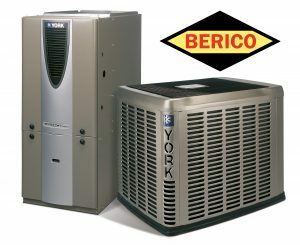 Berico offers a complete, affordable package including HVAC maintenance and fuel refills. And it’s all automatic so you don’t have to remember to schedule it. Caring for your system through seasonal changes is easy when you leave it to Berico. Save money by avoiding emergency heating repair in Greensboro and using less energy with an efficient, tuned-up HVAC system. You also get a discount on your propane or heating oil by bundling your services. Sign up for a Comfort and Protection Service Plan today and experience the benefits. Call (336) 273-8663.